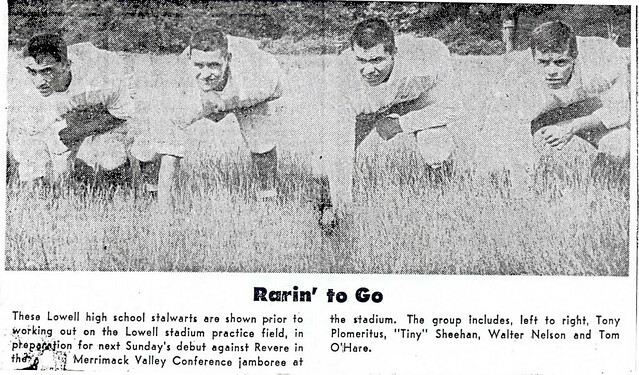 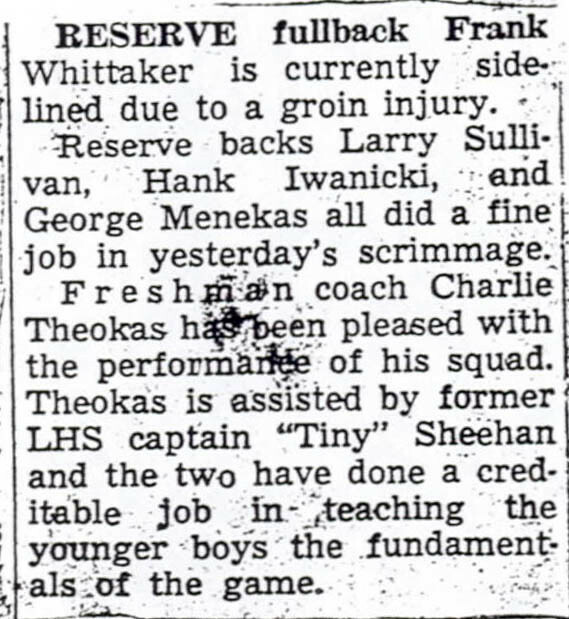 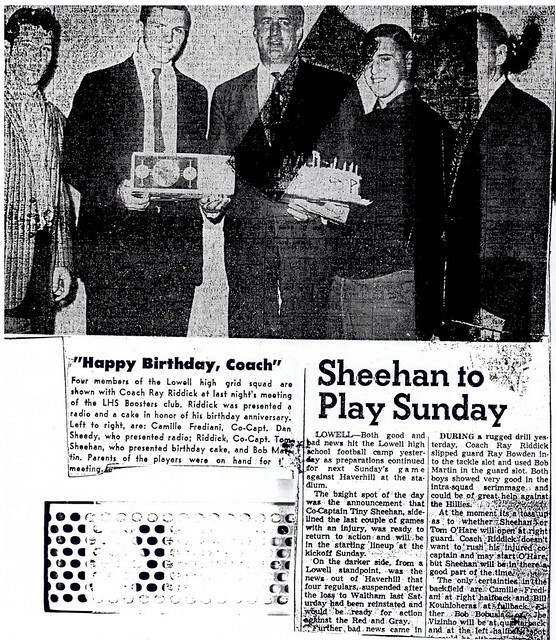 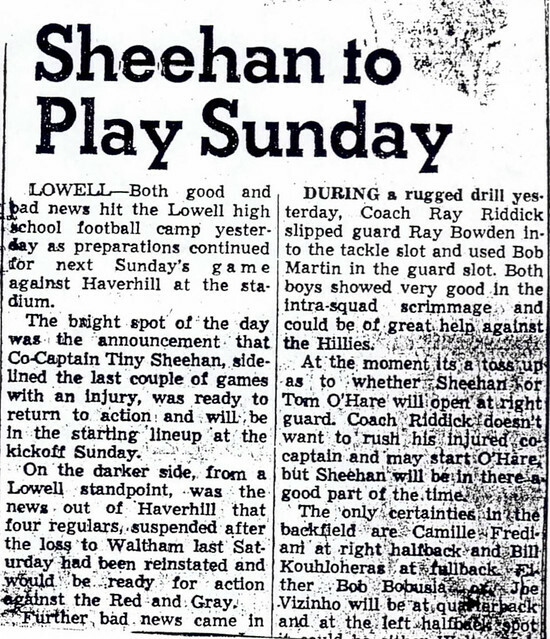 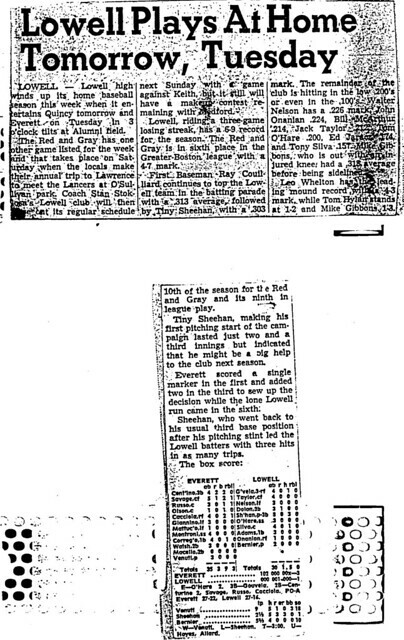 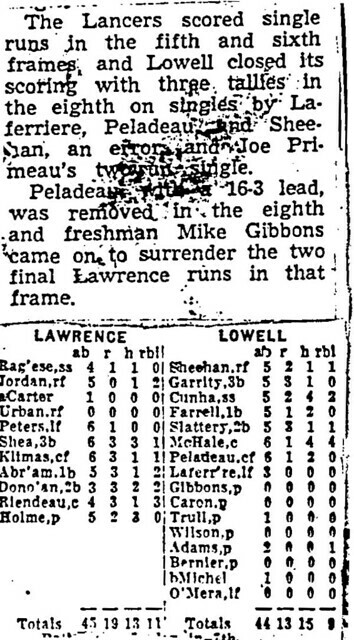 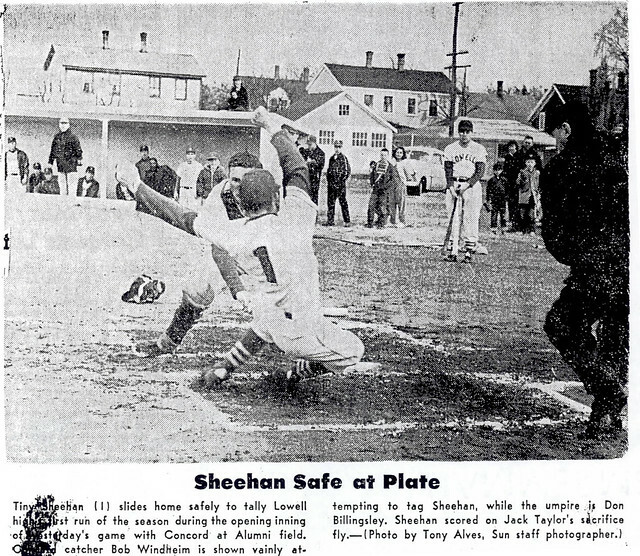 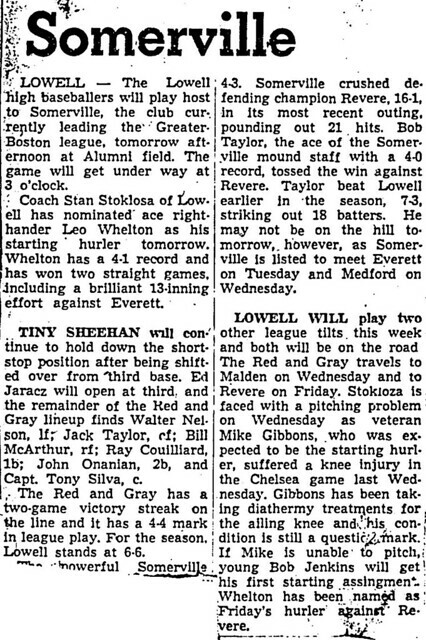 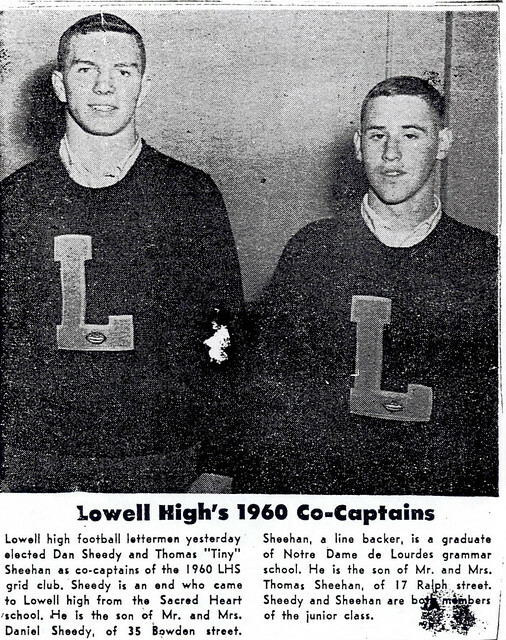 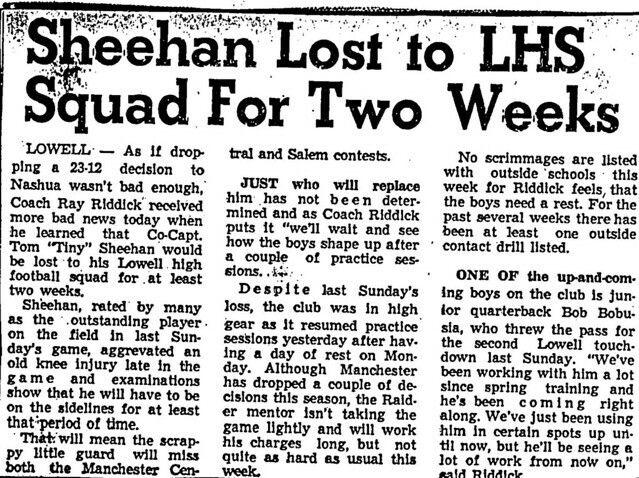 One of the truly versatile athletes of the late 1950’s–early 1960’s, Thomas “Tiny” Sheehan earned an impressive 10 varsity letters as a three-sport performer at Lowell High School. 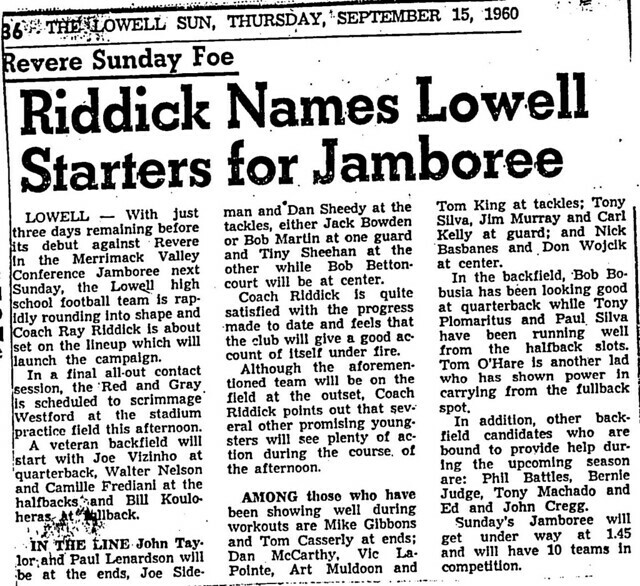 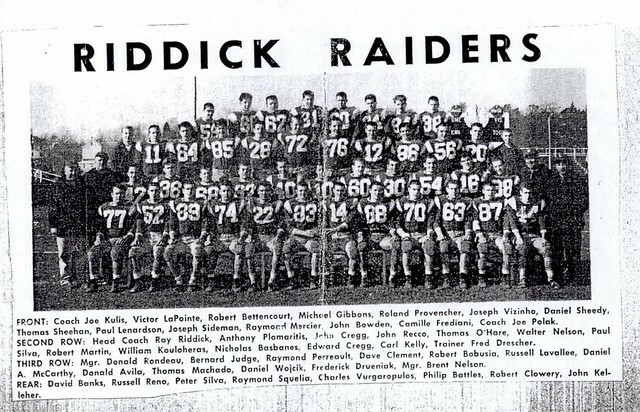 Despite his relatively small physical stature (5’8″, 155 pounds), Tom was a formidable two-way performer at guard and linebacker for Coach Ray Riddick’s Raider grid squads. 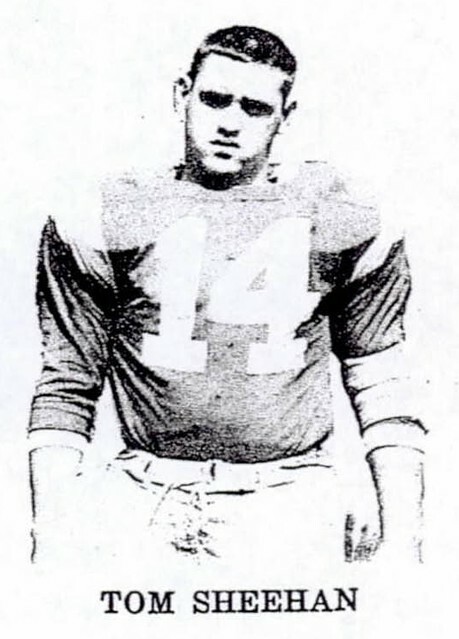 Despite giving away considerable size to virtually every opponent, Tom was of the keys to the Raiders’ success. 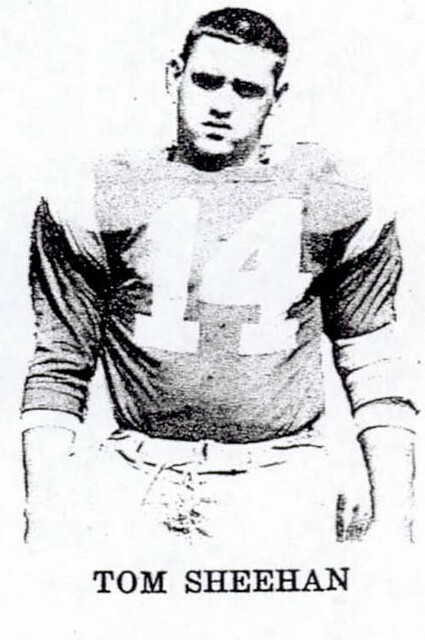 A three-year varsity performer, he was voted Outstanding Player in the 1959 contest against intra-city rival Keith Academy. 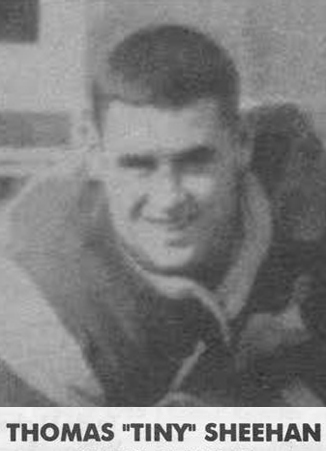 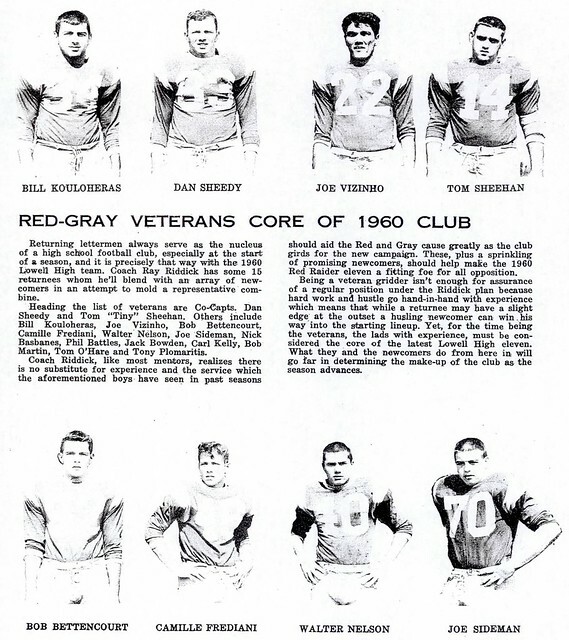 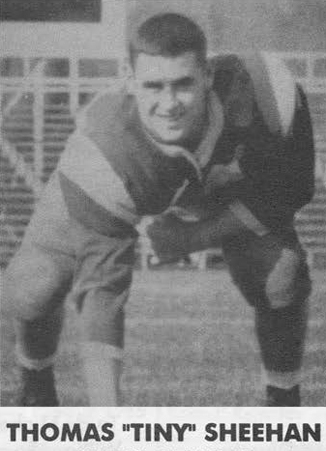 A Team Co-Captain in his senior season (1960), Tom was named Outstanding Player in the traditional Thanksgiving Day game against Lawrence. 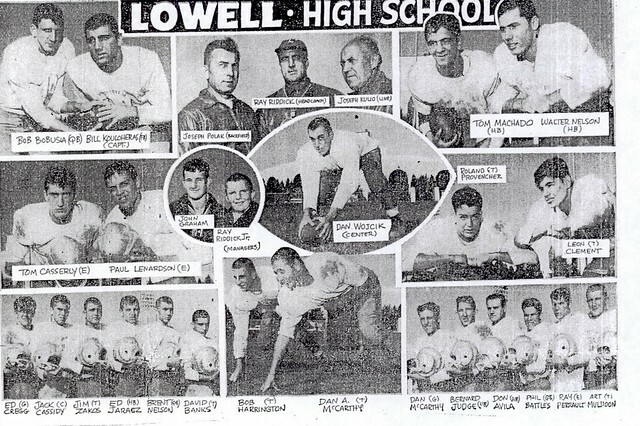 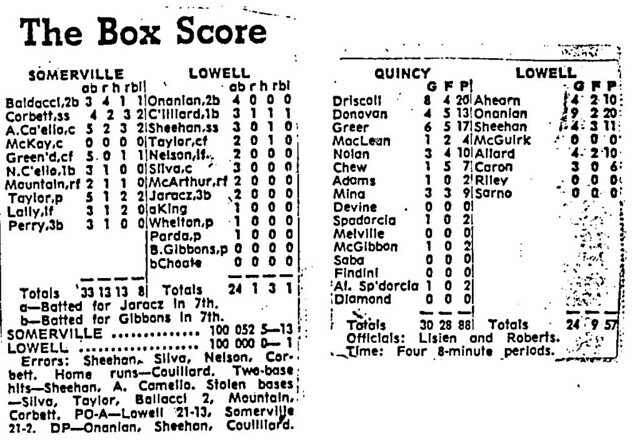 Tom was named to the Greater-Lowell All-Stars for the annual Lowell Sun Charities Game for his outstanding performance. 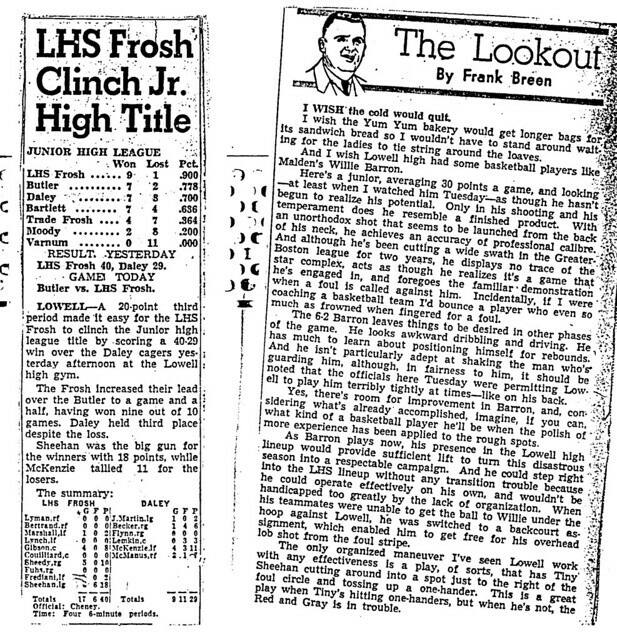 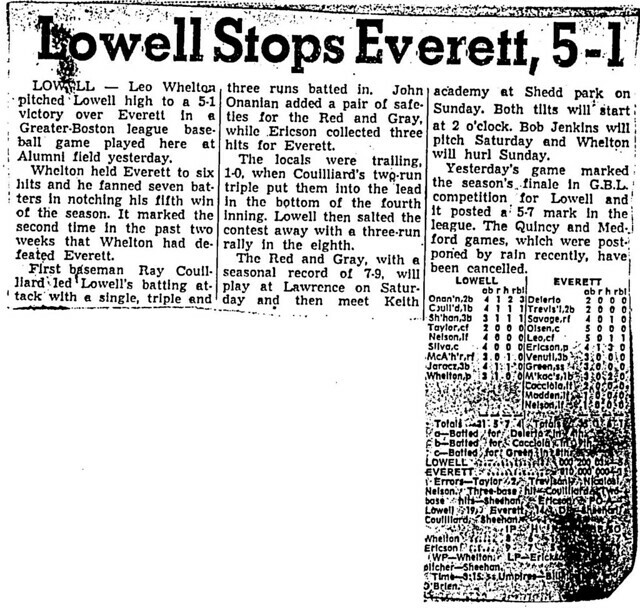 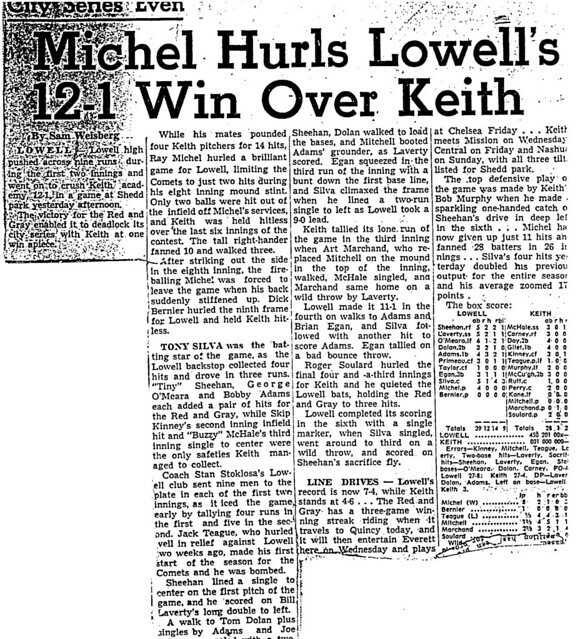 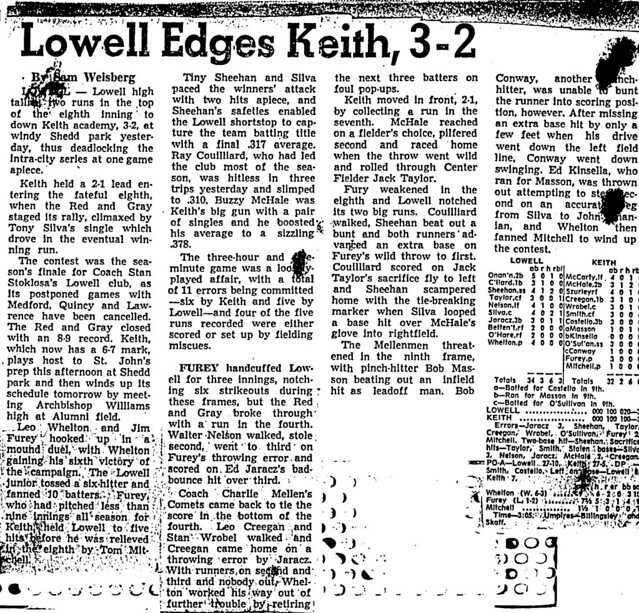 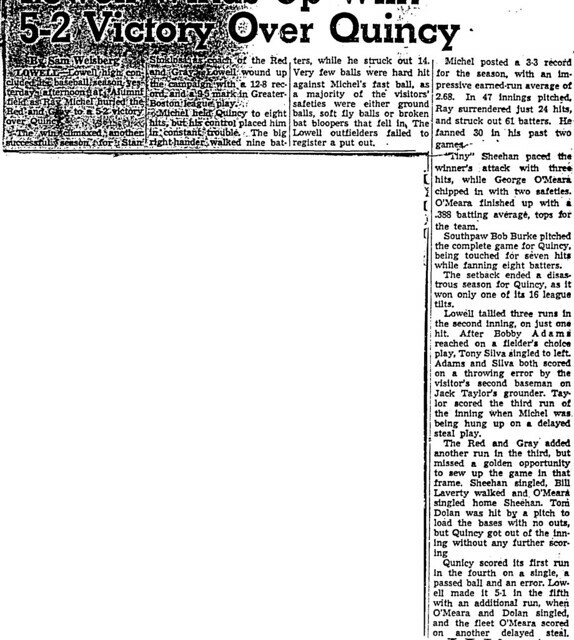 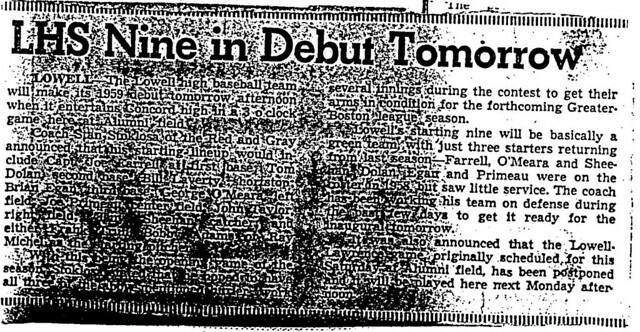 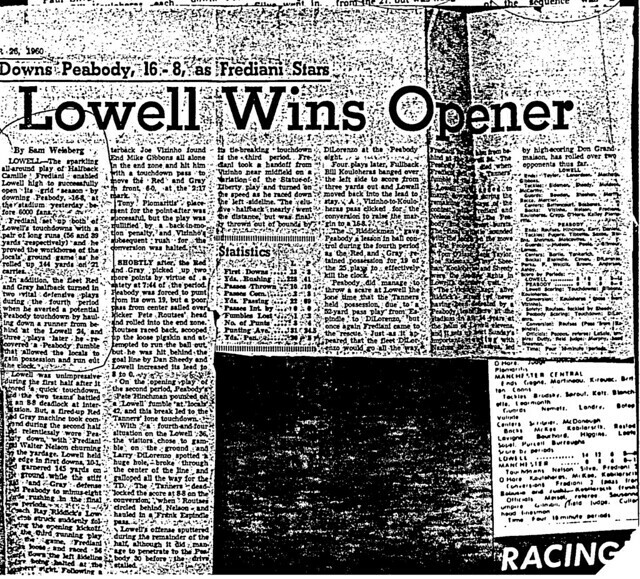 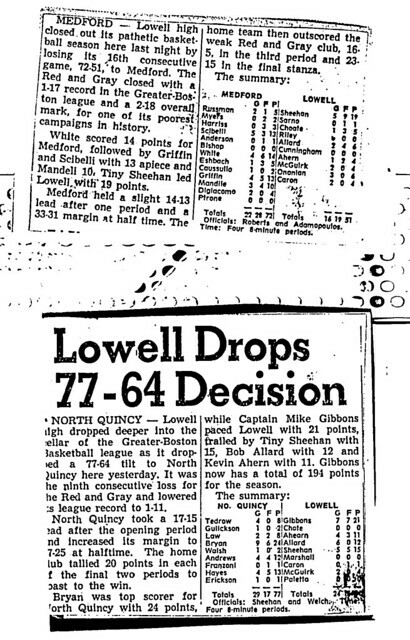 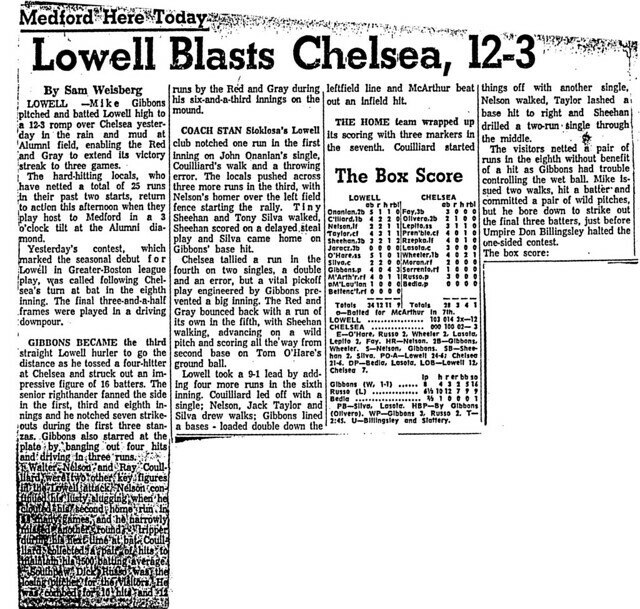 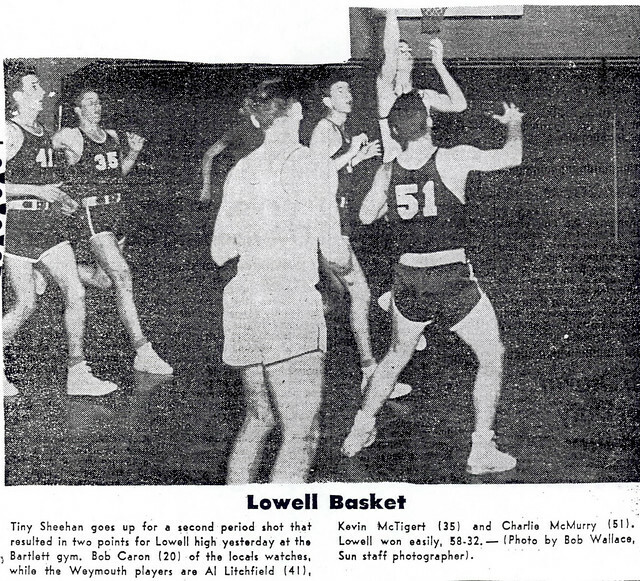 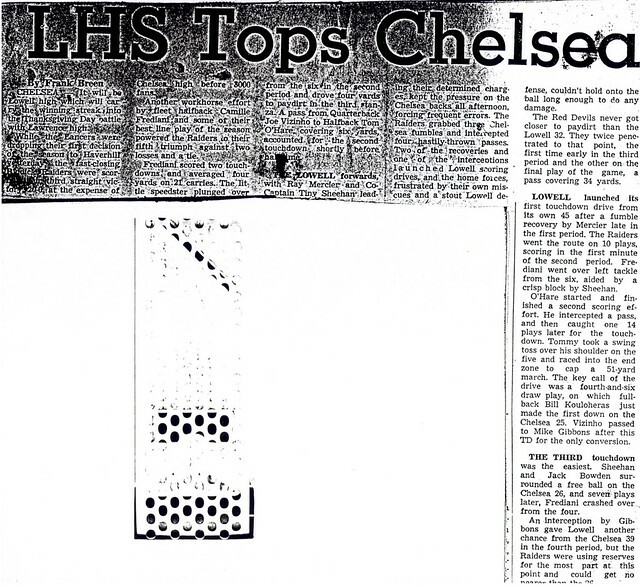 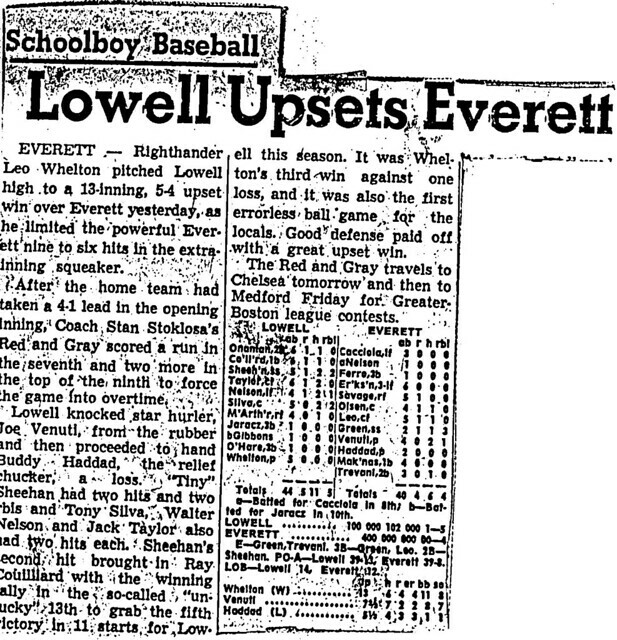 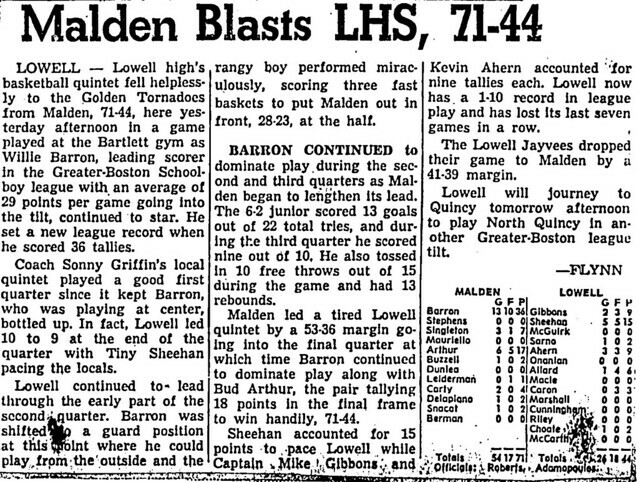 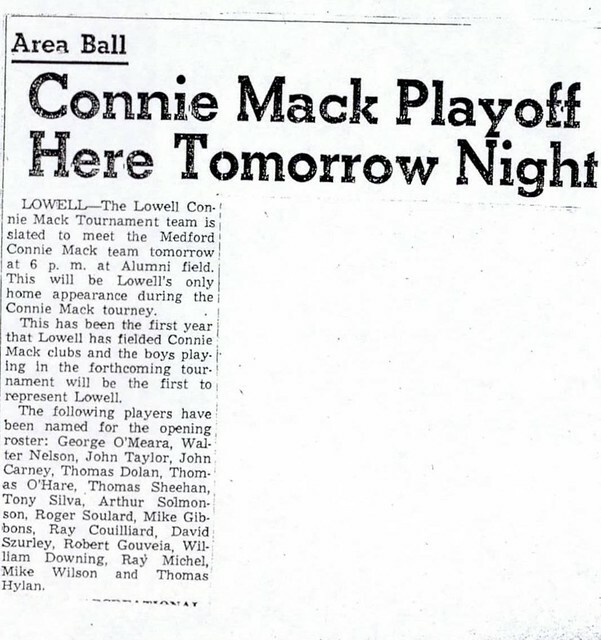 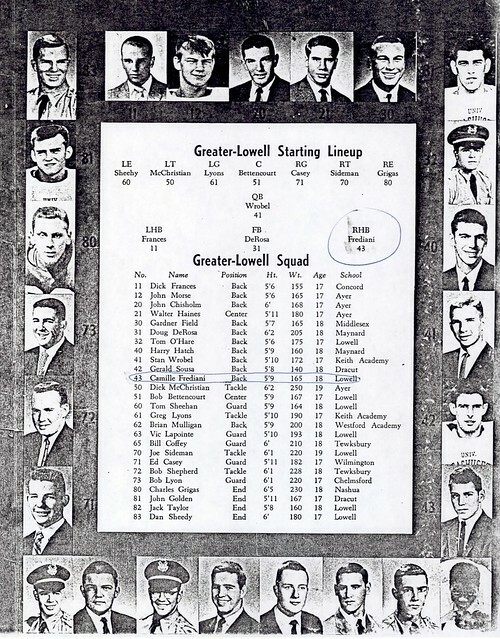 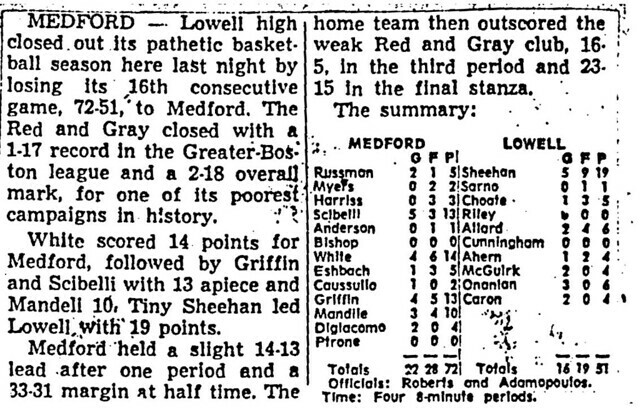 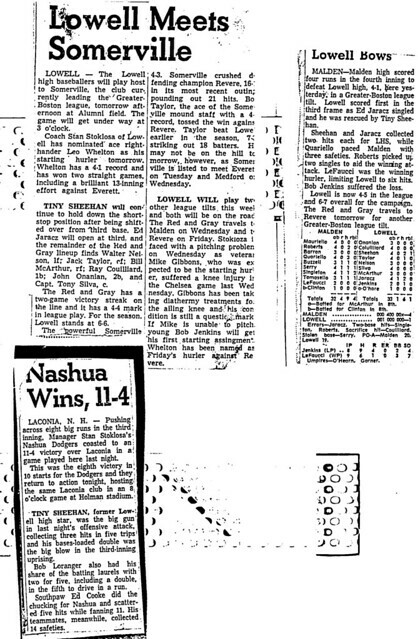 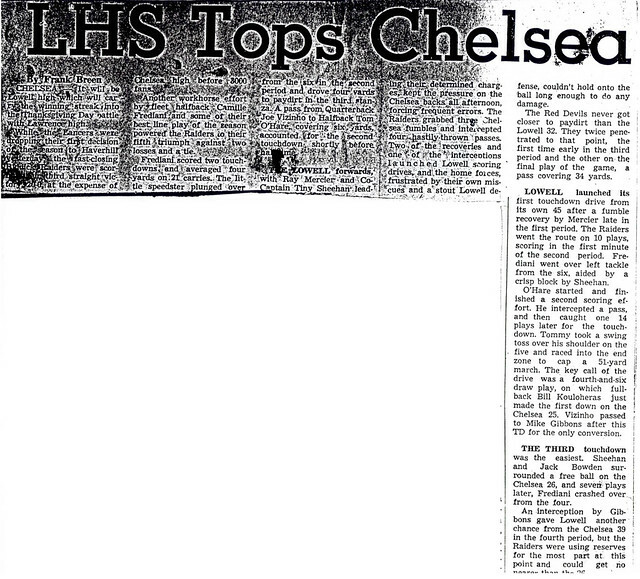 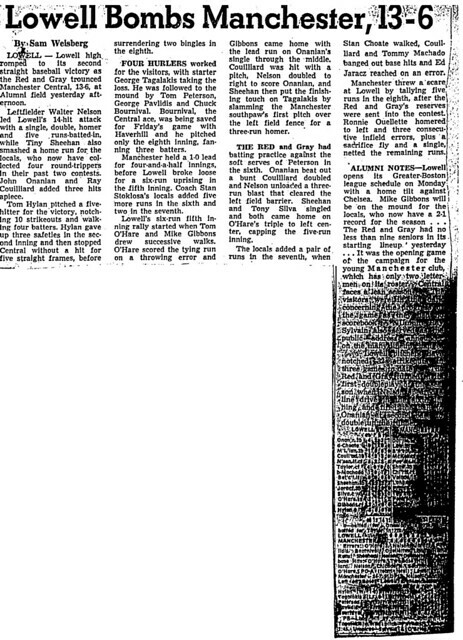 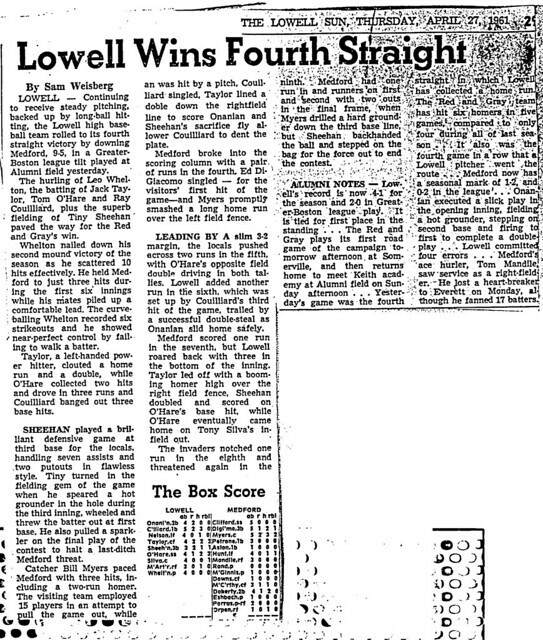 As a three-year varsity basketball performer for Lowell High, Tom was a deadly shooter and shrewd playmaker, averaging 12 points and 7 assists per game against top quality opposition from the Greater- Boston League, then the state’s elite hoop conference. 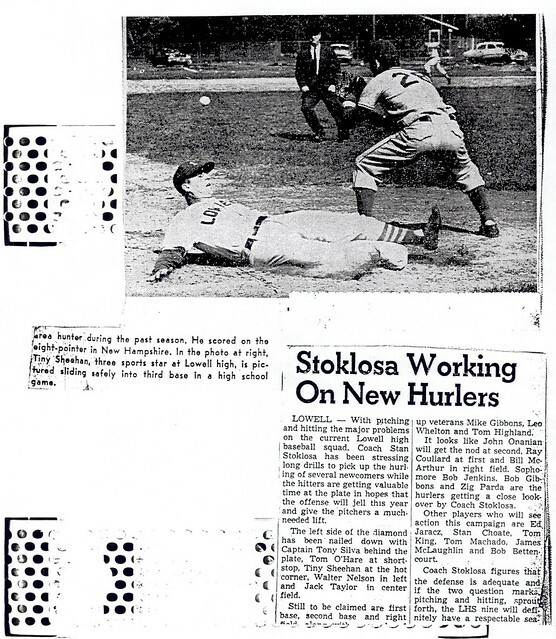 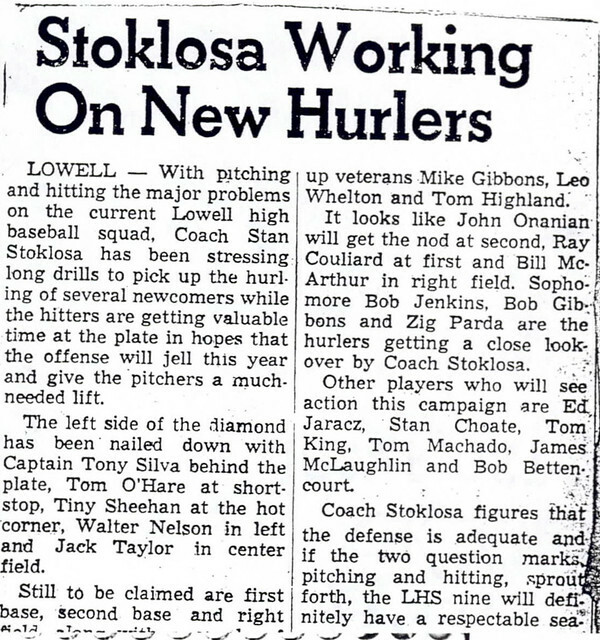 As a rare four-year varsity player on Coach Stan Stoklosa’s Red and Gray baseball squads, Tom exhibited amazing versatility, at various times performing at catcher, pitcher, shortstop, and then, finally, third base. 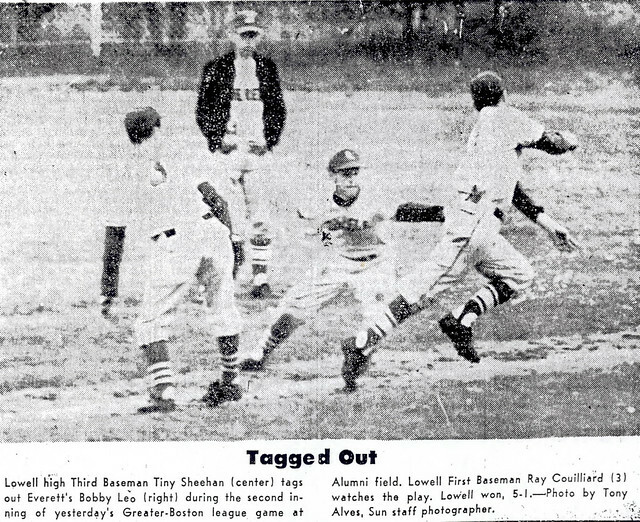 Tom was an outstanding two-way player, regularly batting over .300 and consistently turning in dazzling plays in the field. 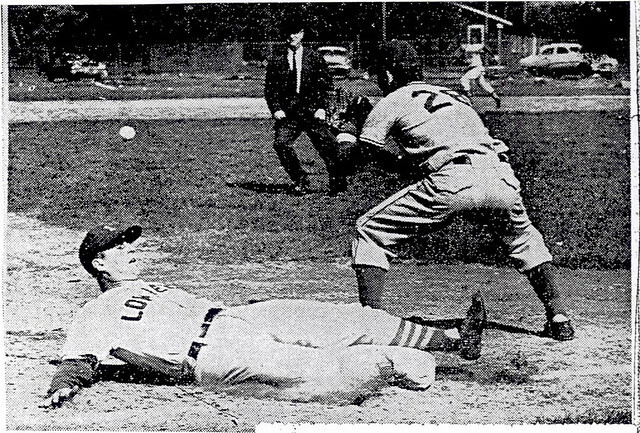 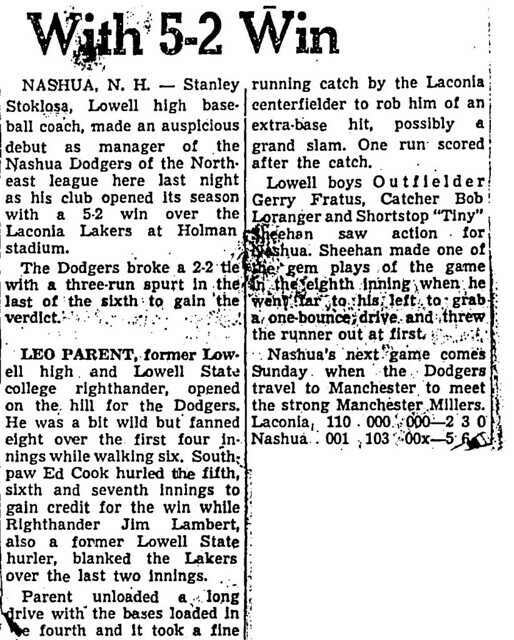 After graduation, displaying the same versatility that marked his years at Lowell High School, Tom performed at the semi-pro level in football (Nashua Colts- Team Captain), basketball (Lowell Town League), and baseball (Nashua Dodgers). 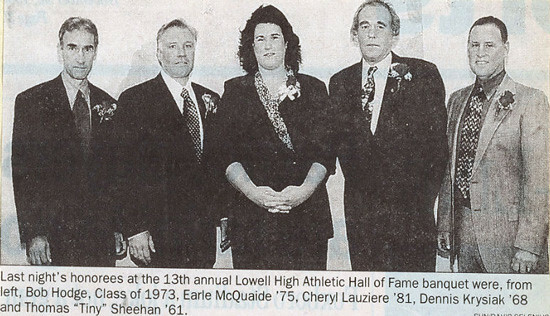 Tom joins two of his Lowell High School coaches, Ray Riddick and Stan Stoklosa, in the Hall of Fame.